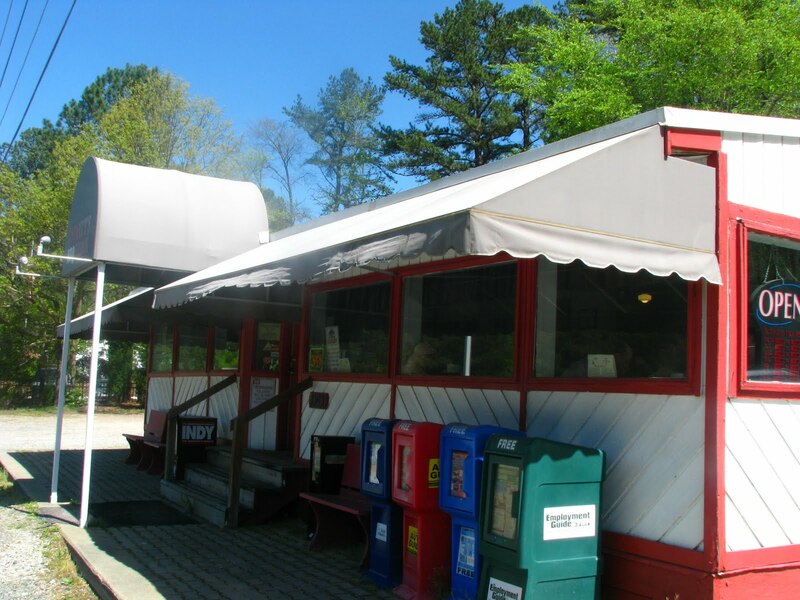 Just off of the beaten path… (I’m singing an Alabama song as I write that) – in Morrisville is a little trailer type restaurant on the side of the ride, picnic table outside, gravel parking lots, red front door. 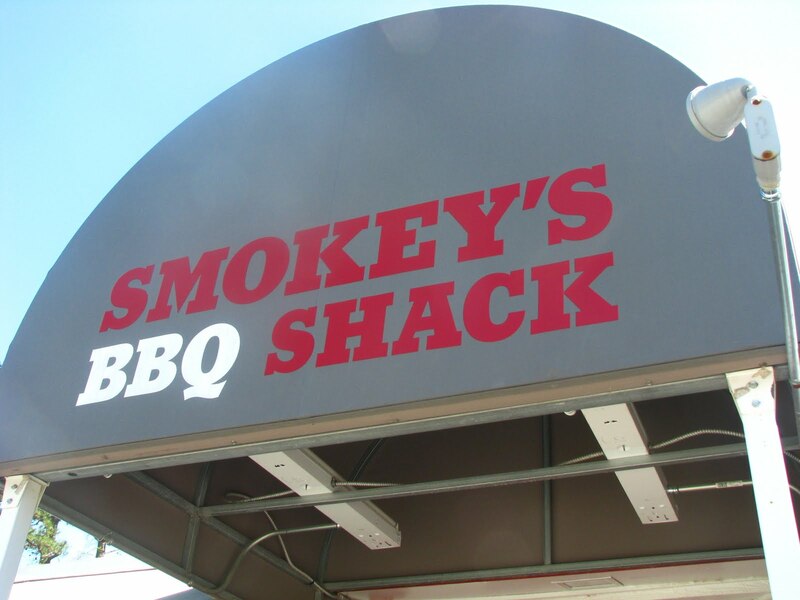 Smokey’s BBQ Shack just started opening on the weekends and by the time we left it was definitely pretty full by the locals. It was NC bbq – smoked meat (I tried the pork and chicken, taking most of the chicken as leftovers) with a vinegar based sauce. The pork was good – wasn’t dry and tasted good with the sauce. 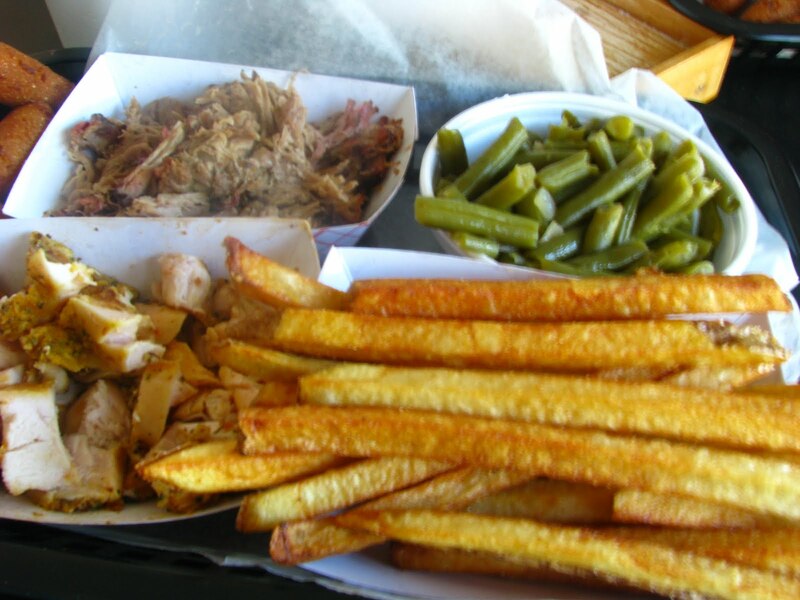 The sides I ordered: green beans and french fries – neither were as good as Sonny’s. But…the pork and the little hushpuppies made up for it. What was the two best things about this restaurant: the atmosphere (roll of paper towels on each table, laid back, unpretentious in every way) and the company. This is a place my friend would always go to when she lived there. Janel moved to the Windy City but got her sweet tea fix just minutes after the airport yesterday.